Will be held on Saturday April 6, 2019…thank you all for supporting our Scholarship Fundraising event! CENTRAL COAST GREENHOUSE GROWERS ASSOCIATION Member nurseries in Nipomo and Arroyo Grande will open to the public for tours! Don’t miss out on this highly anticipated plant and flower sales. Each participating nursery proudly donates a portion of that day’s sales to the CCGGA Scholarship Fund made available to Horticulture students and CCGGA Grower members’ children. 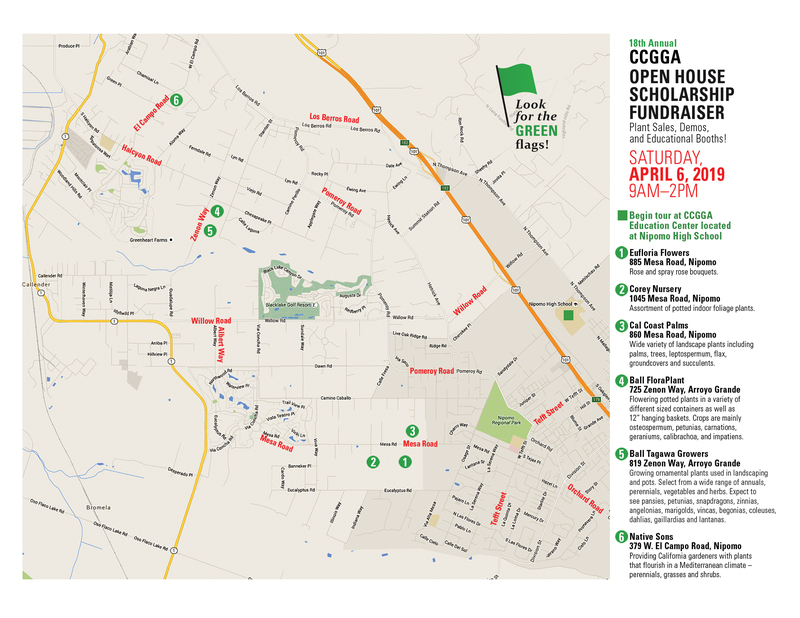 Tours will begin at our CCGGA Education Center located at Nipomo High School and will also host a variety of activities. Please visit our Facebook page for more event information! 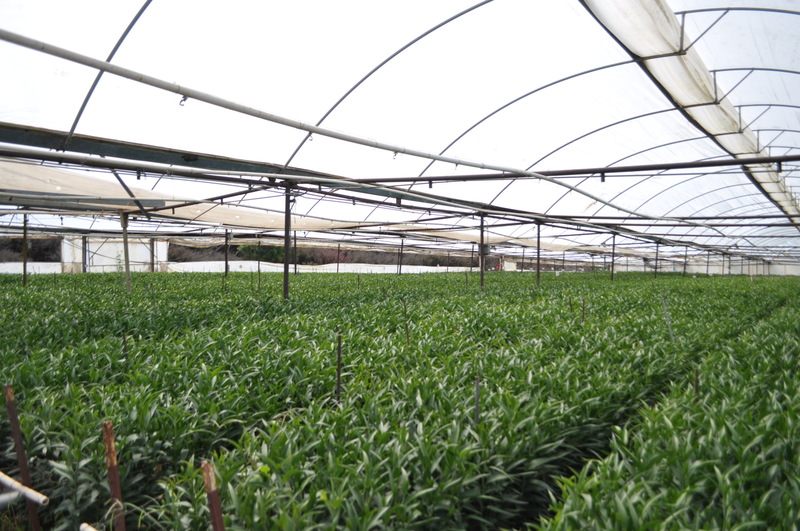 Note: Ball Tagawa Growers will be joining the other five nurseries opening their doors to the public as part of our tour. In years past Ball Tagawa has sent racks of plant plugs (annual, perennials, vegetables and herbs) to our Educational Center at Nipomo High School. So make sure that you allow enough time to get out and visit all of the nurseries listed on the tour map. Rose and spray rose bouquets. Assortment of potted indoor foliage plants. Palm, Sago Palm, and many other varieties. mainly osteospermum, petunias, carnations, geraniums, calibrachoa, and impatiens. Growing ornamental plants and plugs used in landscaping and pots. Select from a wide range of annual, perennials, vegetables and herbs. Expect to see pansies, petunias, snapdragons, zinnias, angelonias, marigolds, vincas, begonias, coleuses, dahlias, gaillardias and lantanas…just to name a few.